We serve as trusted advisors always recommending ideas and strategies that we would pursue ourselves were we acting in management's capacity. Our team has deep experience in providing strategic and M&A advice and has worked on over 100 insurance industry M&A transactions. Our experience spans buy-side and sell-side transactions, fairness opinions, valuation opinions, joint venture formations and general strategic advice. TCMA prides itself on delivering truly objective and insightful advice with a long-term perspective and always in the best interest of our clients. Some of the best advice we have provided has been where we have advised against a transaction that didn’t make sufficient strategic or financial sense. Our team has advised on over 150 insurance industry company financing transactions including IPO’s, common stock, convertible preferred, hybrids, surplus notes, high grade debt, high yield debt, bank debt and contingent capital offerings. We advise our clients on effective strategies designed to drive the absolute best pricing and terms to achieve the lowest possible cost of capital. We pride ourselves on our ability to objectively evaluate all forms of capital which includes traditional financing as well as traditional and collateralized reinsurance (quota share, excess-of-loss, loss portfolio transfers, adverse development covers) and insurance-linked securities. 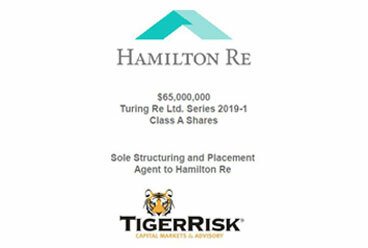 TigerRisk Capital Markets & Advisory is an expert in structuring, pricing, placing and trading insurance-linked securities. 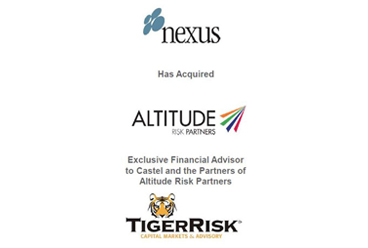 The team has been involved in over 50 catastrophe bonds, side cars and other ILS securities. 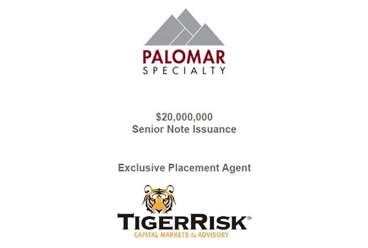 Our trading desk has an integrated approach to trading catastrophe risk including a trading platform for catastrophe bonds as well as industry loss warranties (ILWs) and parametric products in both derivative and reinsurance form. We are committed to being a leader in trading these ILS instruments. 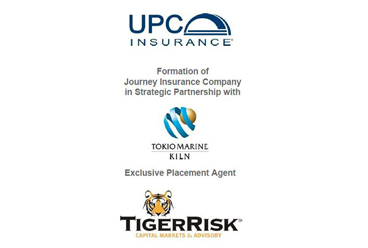 We are exclusively focused on the global insurance and reinsurance space and as a result have deep industry relationships, knowledge and insights which we utilize to the benefit of our clients. Our team has a long and successful track record in the insurance sector across M&A advisory, capital raising and insurance-linked securities. Unparalleled experience and expertise having advised on the most prominent transactions in the insurance industry. Our team has advised on over 100 insurance M&A transactions and over 150 equity, debt and ILS transactions. 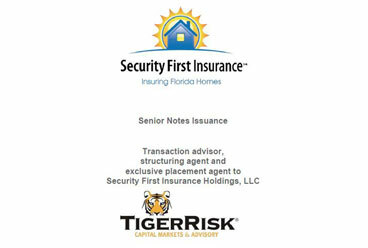 Senior-level attention is provided in every transaction. 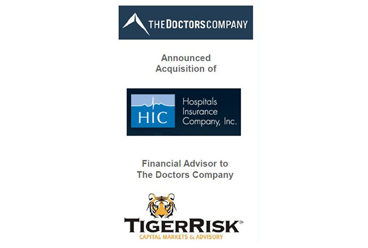 Our ability to leverage the expertise and resources of the broader TigerRisk organization gives us unmatched relationships with (re)insurers around the world. We have cutting-edge insurance industry analytics, technology, actuarial, pricing, reinsurance, cat modelling and rating agency expertise. We pride ourselves on our deep insurance industry knowledge, market intelligence, and innovative culture and differentiated ideas. Unbiased, objective advice always in the best interests of our clients. We use a long-term client relationship model and passion for insurance as it is all we do and we aim to provide an amazing client experience.